Oh my God! She is sooooo skinny! She must have an eating disorder. Ew…look at her fingers…they are disgusting. I don’t want her to touch me…I might catch what she has. Why are her elbows so pointy? What’s that rash all over her? I heard she was in a horrible fire and that’s why she looks that way. This is a sample of the statements and questions I’ve overheard since I was diagnosed with the autoimmune disease scleroderma at the age of 10. I have spent the last 30 years trying to ignore these whispers that follow me wherever I go. After much thought and reflection, I concluded that I’ve been an idiot. Ignoring these looming questions from strangers and acquaintances has not changed the way I look, nor has it changed my diagnosis. 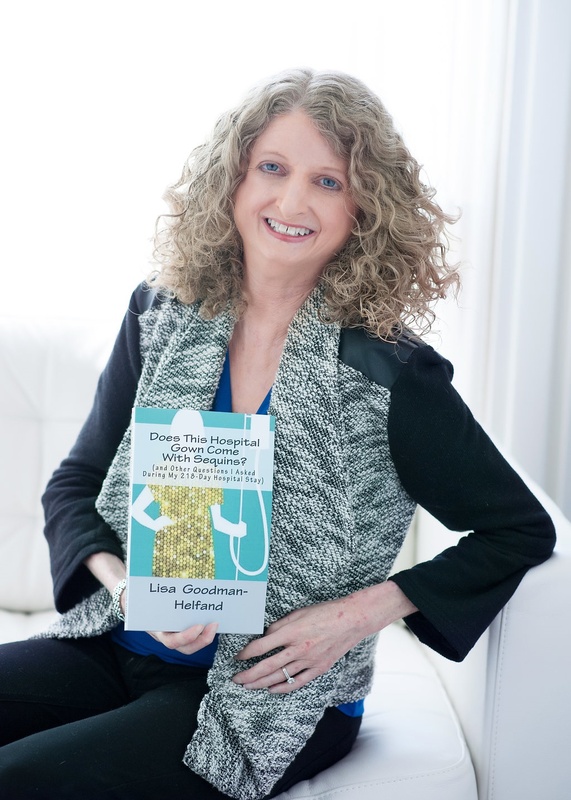 So, I have decided to come out of the scleroderma closet. Me: Hi, it’s so nice to meet you (awkwardly extend my mangled, bony hand that hangs from my thin, deformed, and contracted arm). New person meeting me for the first time: Hi Lisa, it’s great to meet you, too. Person shakes my hand and then tries to glance at my weird limb without being rude. They want to make sure they’re not going to catch whatever I have. Then, they look me over from head to toe critically. All this occurs in a fraction of a second. Some people are much better at hiding their reaction to me than others, but trust me, it happens every time I meet someone. So, I am left with two choices. Choice #1: I could explain to this new person that I have scleroderma, and it’s not contagious. Me: I know I look a little scary, and it’s because I have scleroderma. Don’t worry, it’s not catching. My skin is thicker than normal, I have splotchy red spots all over, and my limbs are deformed. I’m actually a pretty normal person. I have a lot of friends and a career and family. Seriously, there’s nothing to be afraid of. Really, I swear…..I’m totally normal! Would you like to read a brochure about my disease? New person meeting me for the first time: Um, no, I just wanted to talk to you about your new lawn care treatment. Choice #2: Ignore the awkward moment and try to be friendly, funny, and wildly charming so this new person does not recoil in fear. I’ve been opting for choice #2 for 30 years. Now, I’ve decided to try something new. Choice #3: Start a blog that will raise awareness about scleroderma. Then people will know what I have when they meet me. My blog will inspire others to be more open to meeting people who look different. My blog will take issue with America’s obsession with outer beauty. Maybe super models will start to shove cheeseburgers in their faces and wear baggy sweatpants on the runway. Maybe the mean girls from high school will realize what a funny, quirky gal I am and they’ll want us to be friends. Or, maybe none of that will happen, and that’s okay. I am proud and confident enough to say that I don’t care. At the age of 40, I am finally comfortable in my own thick, deformed, splotchy skin. Buckle your seat belts, readers—I’m coming out of the scleroderma closet! I live in a suburb of Chicago with my husband of 17 years and our two children (ages 14 and 10). I began my career 20 years ago as a fourth grade teacher. Currently, I work as a professional speaker, writer, patient advocate, and reading specialist. You can choose from the top menu bar to learn more about me and scleroderma. 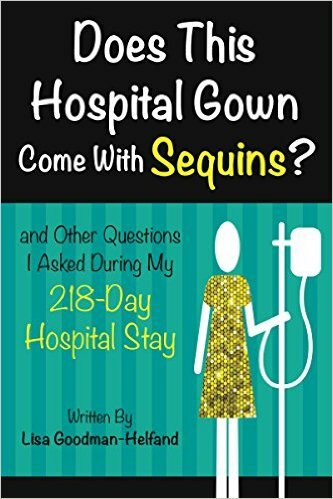 For information on my book, Does This Hospital Gown Come With Sequins? click here. To view my posts, click here.